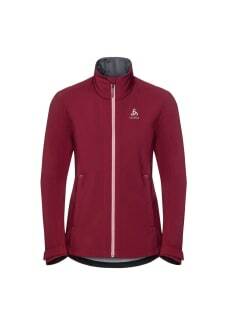 The Lolo softshell jacket has been expertly designed for the woman who wants a durable and innovative outer layer built for protection and comfort.Odlo has developed this softshell for outdoor activities like snowshoeing, where extra protection against varied terrain is a must. A robust abrasion-resistant 3-layer Softshell exterior improves durability when moving through rougher landscapes while inside, brushed fleece provides a soft comfortable layer. Stretch material allows for better flexibility during outdoor activities so you can feel free to move at your own pace.With a regular fit and a classic versatile look, the Lolo softshell jacket is sure to become a winter weather favourite.